Jason Aldean simultaneously sold out two nights at the iconic Red Rocks Amphitheatre, where he’s slated to play for the first time on Sept. 17 and 18. He also sold out his May 17 show in Atlanta, which prompted the addition of two dates at Aaron’s Amphitheatre at Lakewood, which will go on sale at 10 a.m. ET on Friday, Feb. 21 at ticketmaster. 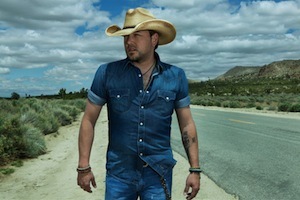 Aldean’s 2014 Burn It Down Tour launches May 1 in Roanoke, Va. The 45-city trek includes Florida Georgia Line, Tyler Farr and Miranda Lambert on select stadium dates.